This weeks blog post is not art related per se! It’s more of a current life check and status update I guess. To get things started, a week ago, my girlfriend and I welcomed our son Noah to the world! 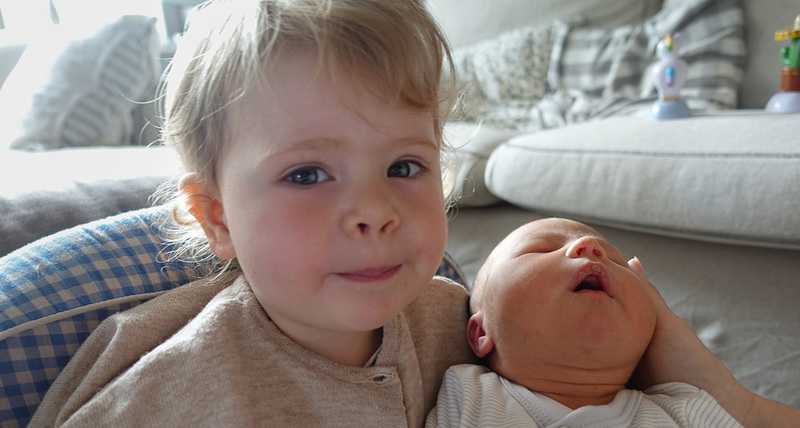 If you read last week blog post, you’ll know that he has a two year old sister sister already. She’s very welcoming to her brother. Being father of two, live will change that little bit more (read: more chaos and less sleep ;)! ). That’s why I will go half-time in teaching at Digital Arts and Entertainment, so I have more time for the family. This also means I’m going to focus on my freelancing more, because one has to pay the bills. When taking on bigger projects, I like to split them up in smaller milestones. I like to think of my professional progression like that as well. One of my professional goals is first to keep this blog and the Weekly Challenges Group up and running. I’m getting a lot of motivation by being busy with this website, group and blog. Making it grow with comments and articles, all that to keep people informed and learning. That is why I keep doing this. Third, I will land three new clients by the end of this year. I will do so by actively contacting companies in the film, games and entertainment industries. Small goals, but again, by doing so, I can keep track of my progression and be more focused on the tasks at hand. Because I’m focussing more on freelancing coming year, I can use all the help in the world to land new opportunities. Should you know any open vacancies, please let me know through email or here, on my blog. Of course, you can also help by sharing this post to your connections.